For some unknown reason, I’ve been into leopard print this season-So far, I’ve bought four pieces. I’ll showcase them separately since I don’t plan to wear them together (though I’ve learned never to say never). This dress showed me how to think outside my “California box” a bit. I liked this dress when I saw it about 1-1/2 months ago, and thought “If I still lived in California, I’d buy it since I could wear it year round. I didn’t buy it at the time, but it was always in the back of my mind. When I saw it again, it was on sale, and I realized I could wear it year-round if I used a little creativity. In the fall, I can wear it as shown with a leather jacket and boots; I’ll add tights in the winter. In spring, I’ll pair it with my olive D’Orsay flats and a light sweater and will wear it with colorful sandals in the summer. Though I can’t say I’m a “New Englander,” at least I’m learning to dress for the seasons! Book Review: "One Plus One: A Novel"
Book-smart but naive software entrepreneur Ed Nicholls is trying to resolve a self-created problem when he meets house cleaner Jess. Though she's a cheery optimist, the single mom's life is filled with troubles: her teenage stepson is being bullied, her math genius daughter yearns to attend an elite private school, and the family is constantly short of funds. Will a journey to Scotland for a math competition improve everyone's life? 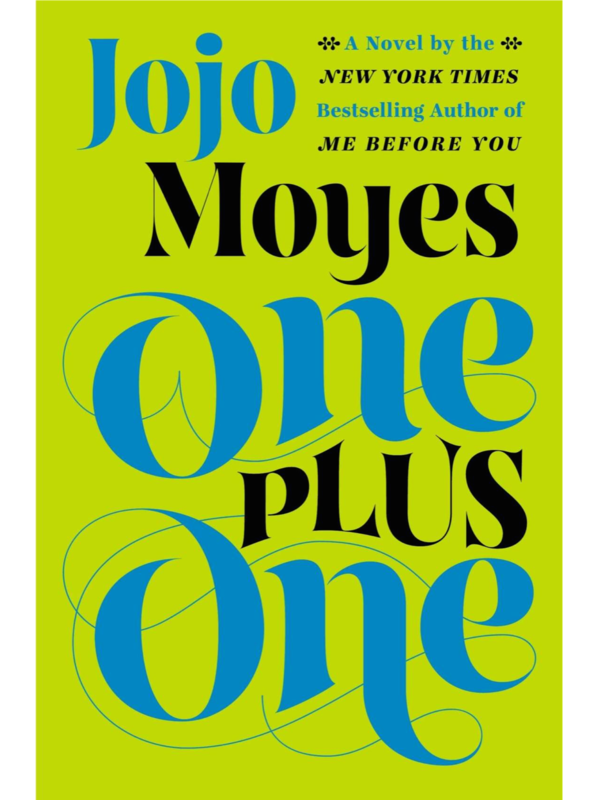 I've liked and recommended other books by Jojo Moyes (click here and here for my other book reviews) and enjoyed reading One Plus One: A Novel as well. It was a quick, easy read (less than 3 days) with likable, yet imperfectly human characters. It you're looking for a pleasant escape, this is the book for you. Movie Review: "This is Where I Leave You"
After their father passes away, four adult siblings with their significant others in tow, return to their childhood home to sit Shiva. During the weeklong ordeal, old and new resentments, childhood crushes and unresolved issues surface. Will the family members put aside their differences to find some common ground? With its all-star cast and brilliant writing, This is Where I Leave You brings out the fun in family dysfunction. Though the film brings up some serious issues, it does so in a clever manner, and with some of the eccentric family members, it’s a movie to which everyone can relate. 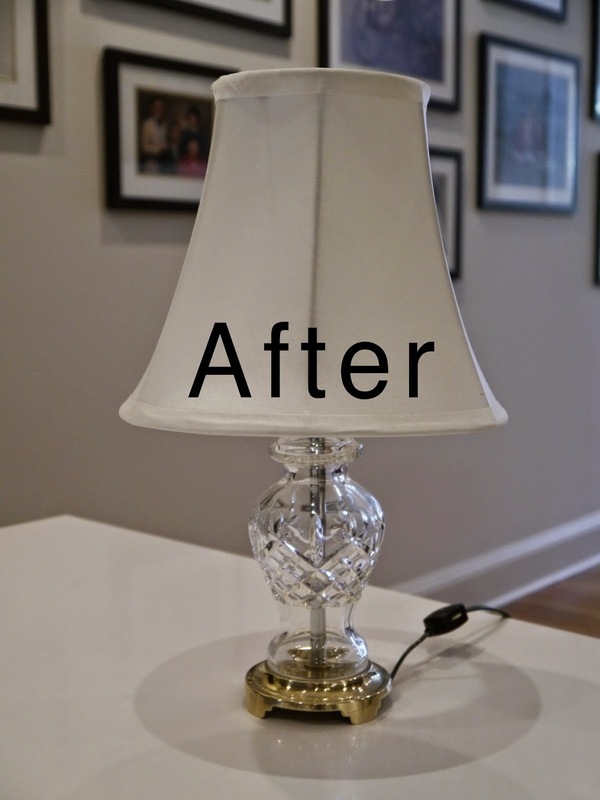 Home Décor posts can be a bit challenging because improving one’s home can be time-consuming, relatively permanent and expensive. 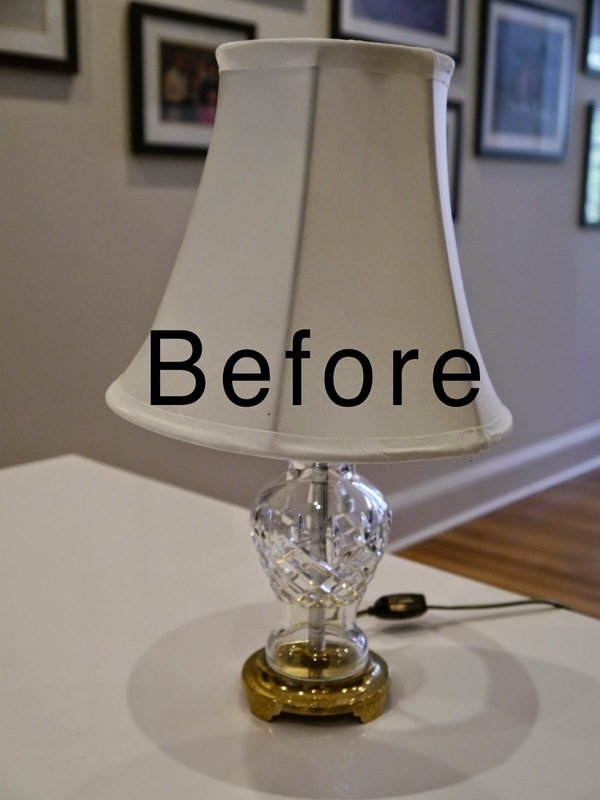 Whenever I can, I try to think of simple ways to make small, but noticeable improvements to our home. We’ve had this crystal and brass lamp for over twenty years, and I still like it and think it goes well with our bedroom furniture. 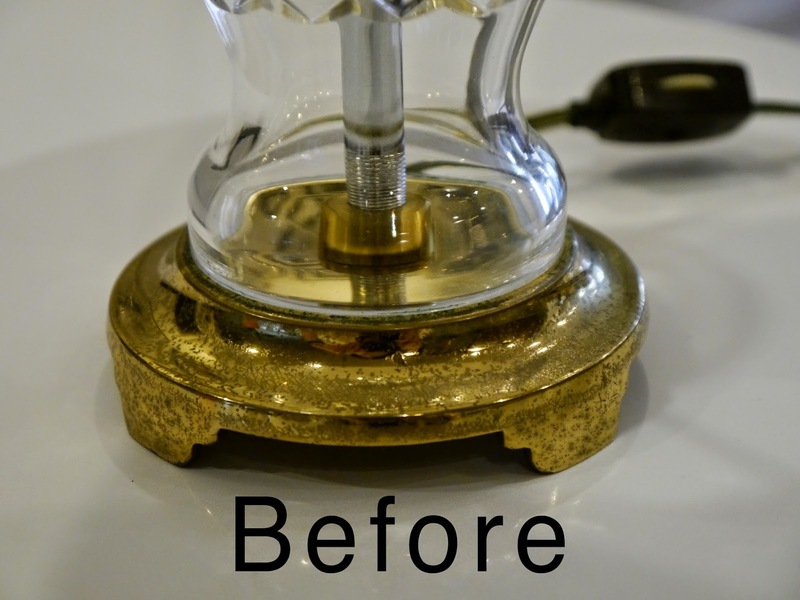 Looking closely at it, I realized the brass was pretty tarnished. 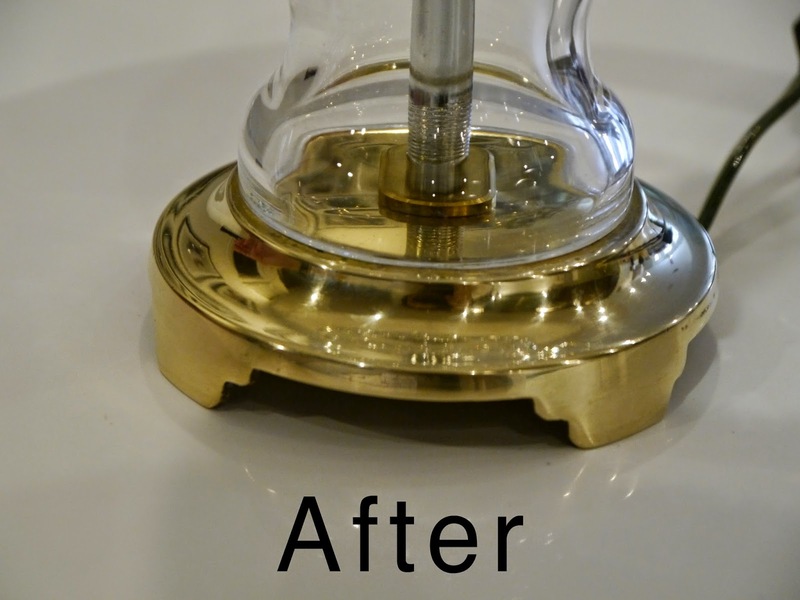 A can of Hagerty Copper, Brass and Metal Polish; some elbow grease and lots of determination made it look like new. While I realize everyone has his or her own favorite baseball team and that baseball season is almost over, I highly recommend going to a Boston Red Sox Game at Fenway Park. 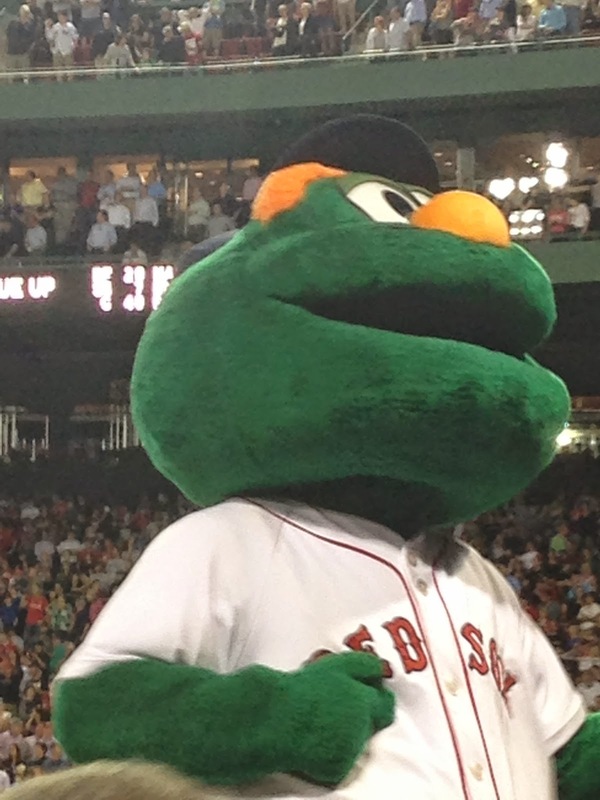 The enthusiastic crowd and intimate setting make Red Sox games events! At 102 years old, Fenway Park is the oldest baseball stadium in Major League Baseball. With the famous “Green Monster” back wall, the old-fashioned scoreboard and the tiny seats, Fenway Park is an attraction in itself. In fact, tours of the ballpark are available almost daily. Though I haven’t taken one recently, it was a great experience at the time. When you're in Boston, take the time to go to a game, where you can enjoy a hot dog and peanuts, drink a beer and sing Take Me Out to the Ballgame! Though I don’t make this time-consuming recipe often, it’s one of our family favorites. Unlike egg rolls served at most Thai restaurants, the filling includes ground beef and uses a traditional egg roll wrapper, resulting in a thicker skin. The result is amazing! I serve these egg rolls with soy sauce and hot mustard, but they can also be eaten with sweet chili sauce. Soak the bean thread noodles to soften as directed on the package. Drain, cut into 1-inch pieces and set aside. Sauté the garlic and onions in vegetable over low heat. Add cabbage, green beans, celery, carrots, and cook on low heat for 2 minutes. Add beef and stir with chicken bouillon, salt, oyster sauce, brown sugar, cornstarch and a sprinkle of black pepper. Stir for another 5 minutes. Turn off heat. Add bean thread noodles. Stir. Let cool to room temperature. To Assemble: Place egg roll wrapper so that it forms a diamond. Add 2 tablespoons of filling about an inch from the lower corner of the egg wrapper. Fold up the corner of the triangle with the filling and tuck it against the filling so that the wrapper is over the filling. Fold in the sides of the wrapper to the ends of the filling. Dab top corner with a bit of egg wash at the top corner. Roll the filling upward to the dab of egg and press end to the roll to seal. Preheat cooking oil to about 350ºF and fry raw rolls in cooking oil. Cook until golden brown, remove, set on paper towels, allow to cool. Serve warm. When fully cooked, these egg rolls freeze beautifully. Thaw overnight in the refrigerator and then reheat in the oven to serve. About ten years ago, I found that washing my hair daily was drying it out and ruining the texture. I used dry shampoo to freshen it up, but didn’t really like the results. Every one I tried was white, so I thought they made my hair look somewhat ashy. In her book, The EveryGirl’s Guide to Life, Maria Menounos recommends using Shampowder by Buttercream Cosmetics to revitalize hair (Click here to visit the Buttercream Cosmetics website). It comes in three shades-black, brunette/red and blonde and has a nice vanilla scent. 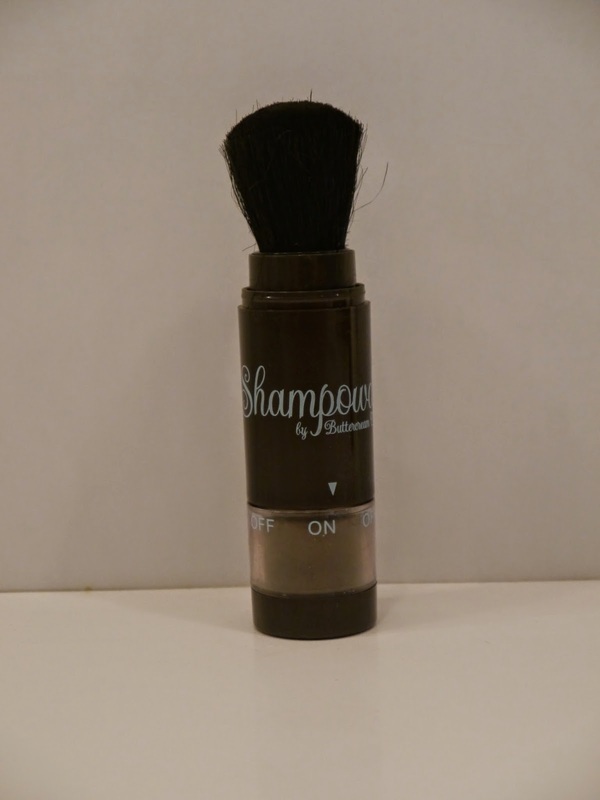 Shampowder is the perfect product for rejuvenating my dark hair. I paired these jeans with a tissue-thin, racerback tank, a modern boucle jacket, an antique watch necklace and plain black pumps. For pops of color, purple sunglasses and a fuchsia handbag were added. I love the juxtaposition of ultra-casual and dressy. 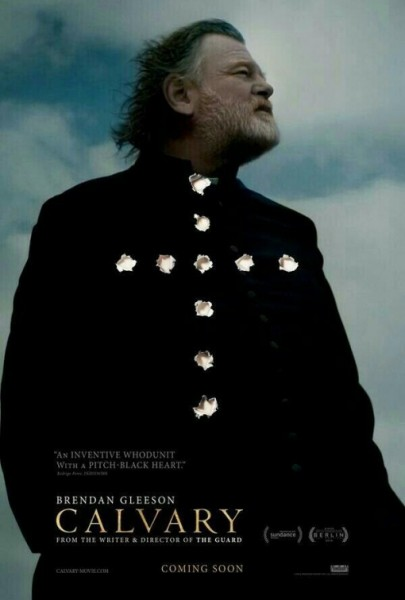 How will a good priest (Brendan Gleeson) react when told during confession that he will be murdered in one week? Will he try to escape, prevent his own death or accept his fate to pay for the sins of a fellow priest? Calvary poses this and other questions regarding faith, forgiveness and honor. 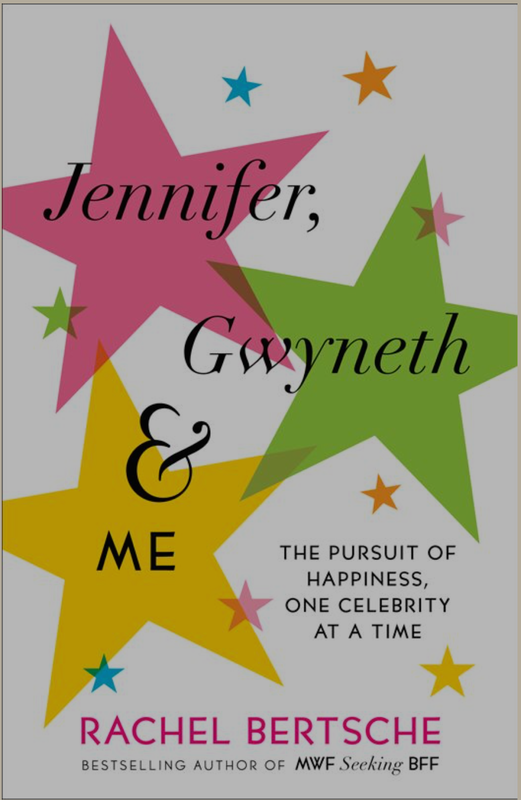 Book Review: "Jennifer, Gwyneth & Me"
Because our favorite celebrities project an aura of perfection, we often want their lives, or at least some elements of their lives. But are their “perfect” lives attainable by ordinary people? For eight months, author Rachel Bertsche imitated her favorite celebrities’ lives to answer this question. 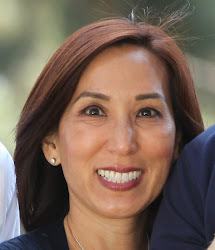 Each month, she sought to improve one area of her life and emulated the celebrity she felt best exemplified success in each area. I very much enjoyed this book because I believe continuous self-improvement is an important part of growing as a human being. It was also a reminder that we can’t be “perfect” in EVERY facet of our lives, and “cherry picking” other peoples’ best qualities and expecting those same performance levels in oneself is unrealistic. 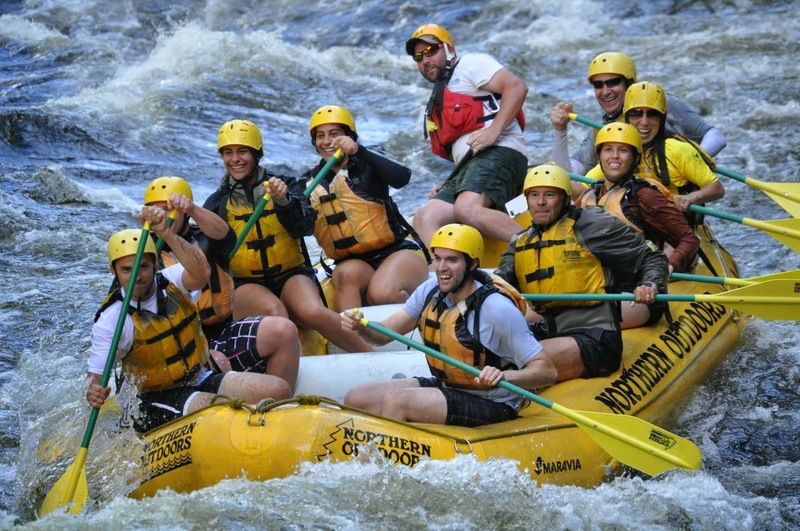 When a coworker told Kevin about white water rafting on the Kennebec River, I immediately made arrangements for us to go. It was a great decision! All arrangements were made with Northern Outdoors (click here to visit their website) in The Forks, Maine. 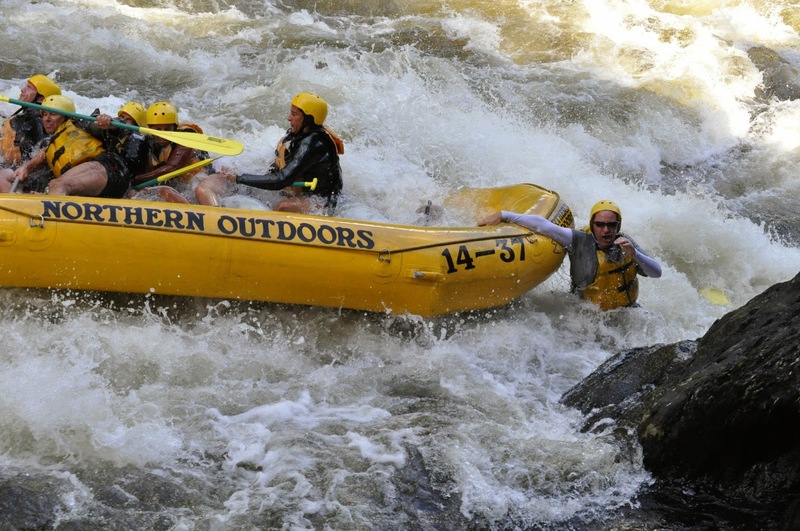 The company provides rafting adventures, snowmobiling, cabin and condo rentals and has an on-site restaurant. 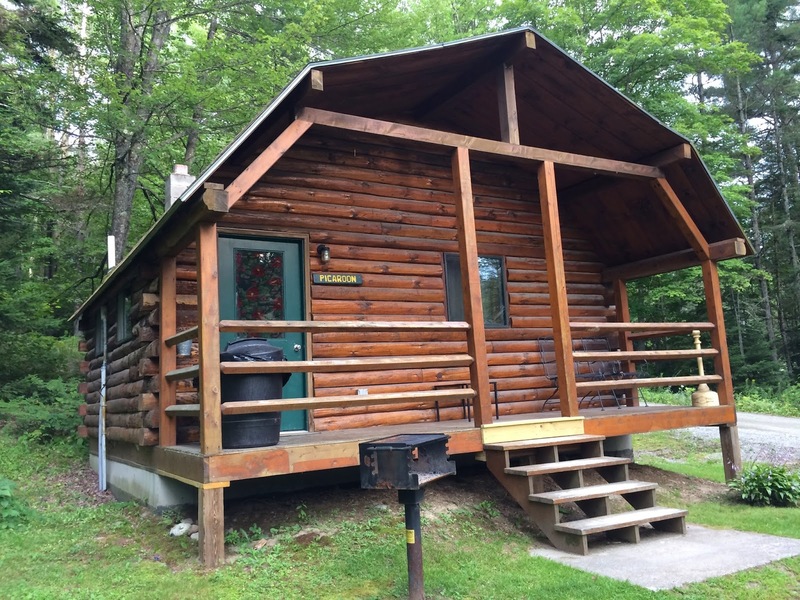 We drove to The Forks, Maine on Friday night after stopping for dinner in Portland, Maine, a quaint town with a picturesque “Main Street.” After checking in and getting situated in our rustic cabin, we walked to the lodge for a beer. 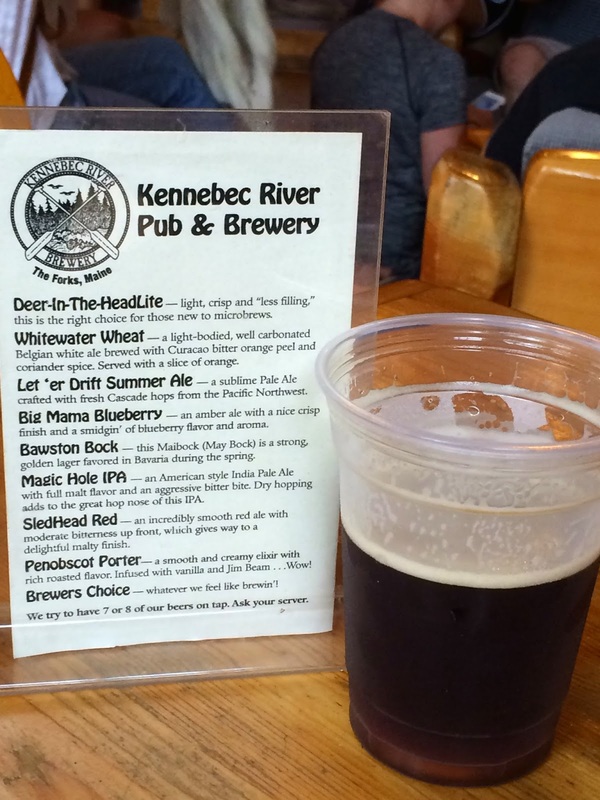 The beer at Northern Outdoors is special-the restaurant has its own microbrewery and brew master (who also happened to be our river guide). After breakfast on Saturday morning, we met in the lodge where we were given our safety briefing, got our paddles and life jackets and were driven by bus to the launch site. We were assigned a guide and raft, and the adventure began. 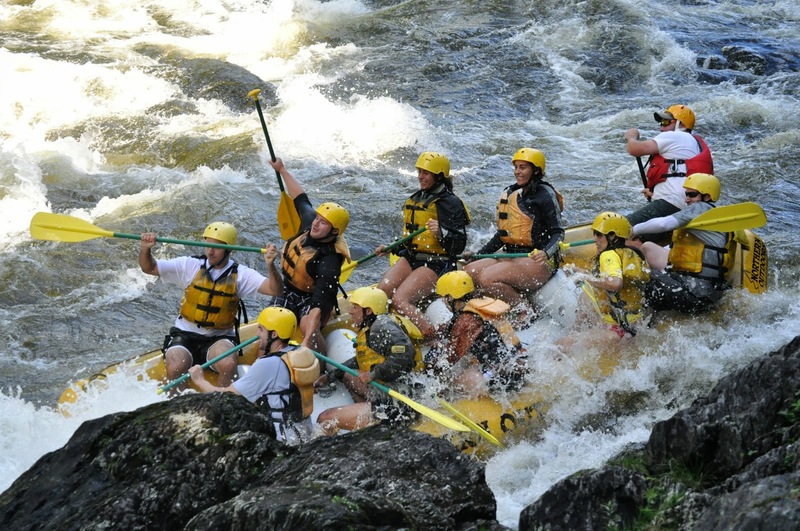 The first part of the river had 4 sets of rapids (3 Class 3’s and 1 Class 4)-it was an exhilarating thrill ride! Next, we took a break for lunch-our guides cooked steak, chicken, salmon, veggie burgers, and fried rice over open flames. Pasta salad and chocolate chip cookies accompanied the main dishes, and the food was delicious! After lunch, we went back to our rafts and went through the second leg of the river. There was only 1 Class 3 rapid, and after we went through it, we were able to swim/float down the river and/or ride the inflatable kayak. While the first leg was an e-ticket ride, the second was easy and relaxing. Afterwards, we were bussed back to the lodge, where we watched the video and slide show-the narrator was hilarious and it was worth taking the time to do. We were pretty worn out after our exciting day, so we ate an early dinner and retired to our cozy cabin. What a fun weekend-we are definitely going back! pulled up me right up to the surface. Kevin and I have been married for 27 years, and he has only surprised me three times. The first was about 6 years ago when he said he wanted to go to a dude ranch for vacation. The next was a year or two later when he wanted to buy an old Dodge Charger to restore, and the last time happened this year on vacation-he wanted to buy a handmade Turkish rug. I was hesitant, because although I wanted one, we have a dog who has food allergies. The problem is that when Emmie eats something she shouldn’t, she gets sick, usually on a rug. It would kill me to see a work of art ruined, especially a hand-made rug due to the artistry, time and effort involved. We solved the problem by buying a smaller rug and hanging it on the wall above the dining room fireplace. Though not as traditional as placing a rug on the floor, hanging it allows you to enjoy it on a daily basis without the worries of pet stains. By the way, we had a fabulous vacation at the Rainbow Trout Dude Ranch and yes, Kevin is restoring his Dodge Charger. One of the foods I never appreciated until our recent vacation is Turkish Delight. I tried a chocolate-coated version a few years ago and wasn't impressed. While we were shopping in the Grand Bazaar in Istanbul, Turkey, I bought three pieces of Pomegranate Turkish Delight (one for each of us) and became hooked! For those of you who haven't tried it, Turkish Delight is a jelly candy (sometimes with nuts) similar to Aplets and Cotlets. I initially bought Pomegranate Turkish Delight, but later bought both Pomegranate and Lemon Turkish Delight. They're amazing!